Not every cat who is presented to a shelter for relinquishment is in need of immediate admission. In many cases, simply knowing that help is available and the shelter can take the cat in the near future is enough to allow the community member to opt for an appointment down the road, when his or her cat can be better cared-for by the shelter. In some cases, supportive management may buy the owner enough breathing room that the cat ends up being able to remain in the current home after all. Listen as two shelter leaders who have had great success in managed admission approaches, Barbara Carr, Executive Director of the SPCA Serving Erie County, NY, and Kathie Johnson, Senior Operations Manager of the Animal Humane Society in Minneapolis, MN, as they join Maddie's Fund® to share what they've learned, including what's worked and what hasn't in Managed Admission: Giving Shelter Cats Their Best Chance at a Great Outcome. This webcast is the second in a five-part series on the key initiatives of the Million Cat Challenge. Its focus will be on providing information and encouragement for establishing a waiting list for cats entering the shelter in order to reduce length of stay, illness and stress due to overcrowding, as well as increase adoptions. How to develop an admission process that meets customer and community needs. How to remove barriers to animals receiving the services they need before moving to adoption. How to examine the shelter's relationship with the members of the public who are looking to relinquish their cats. How their organization might turn that decision around through the provision of resources and assistance with their pet during the waiting period. Managed Admission: Giving Shelter Cats Their Best Chance at a Great Outcome will be of interest to individual advocates who may be struggling to understand the appropriateness of this policy, as well as providing tools for lawmakers and shelter and rescue group staff, volunteers and board members. Barbara Carr has been the Executive Director of the SPCA Serving Erie County for 20 years. Prior to her position at the SPCA, she served as executive director of the Cocheco Valley Humane Society in Dover, New Hampshire, was president of the New Hampshire Federation of Humane Societies, and served on the board of directors of the New England Federation of Humane Organizations. She was also the executive producer of "Humane Perspectives," winner of a Cable Ace Award for the Best Education Programs. During her tenure at the SPCA, Barbara has been responsible for bringing surgery in-house; creating the Whisker Wag'n, the SPCA's mobile adoption unit; developing the SPCA's off-site adoption program; developing the Wildlife and Humane Education Departments; implementing a foster care program for young and sick animals; and renovating the dog kennels. In addition, she has served as an adviser to the Humane Society of the United States' Companion Animal Division and in 2007 was appointed to a three-year term on the National Federation of Humane Societies' first-ever board of directors as President. 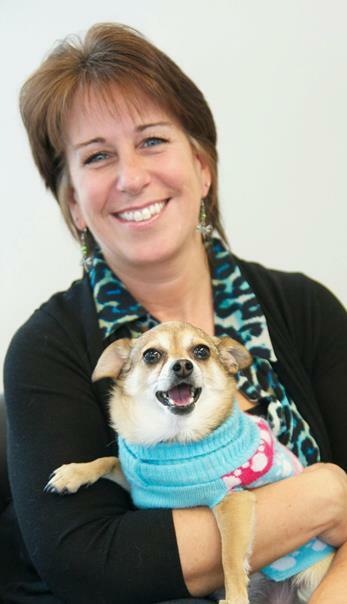 Kathie Johnson is the Senior Director of Operations at the Animal Humane Society (AHS), in Minneapolis-St. Paul, MN. She began her career at AHS in 2001. In 2009, UC Davis did a consult at the shelter, which led to the launch of the organization's Bound for Home initiative. Johnson was the chair of several AHS committees working to reduce length of stay, reduce euthanasia and address the overwhelming numbers of felines being surrendered each year. 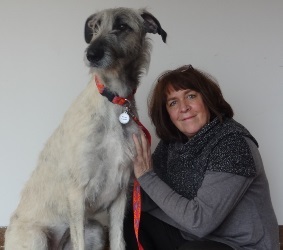 She is very committed to animal welfare and improving the quality of care provided to homeless animals. She feels strongly that we need to develop relationships in our industry, focus on what we have in common and work together to save more animals.